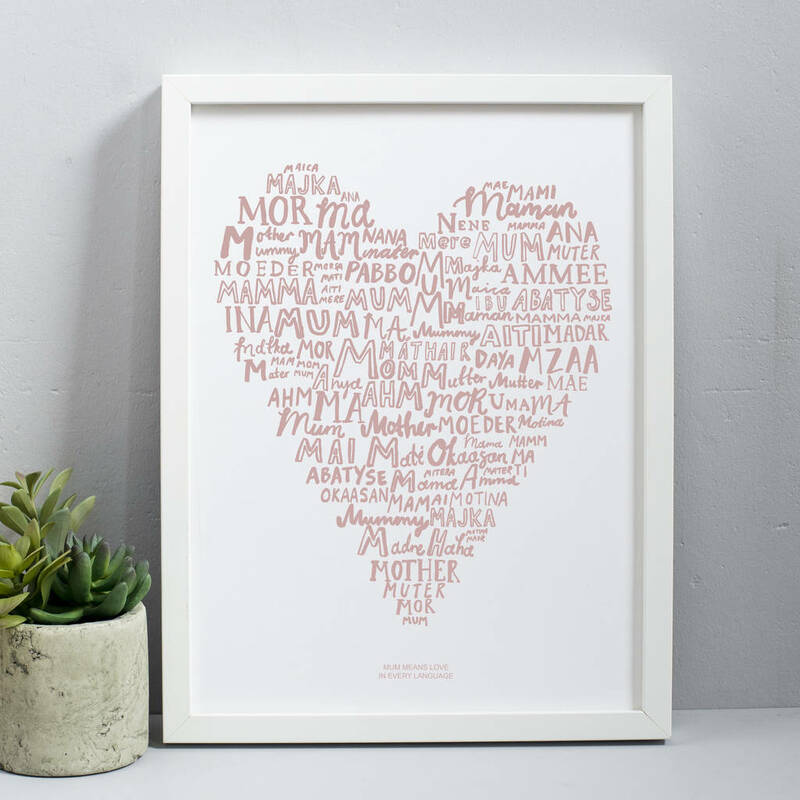 Tell your mum you love her with this beautiful heart shaped print. 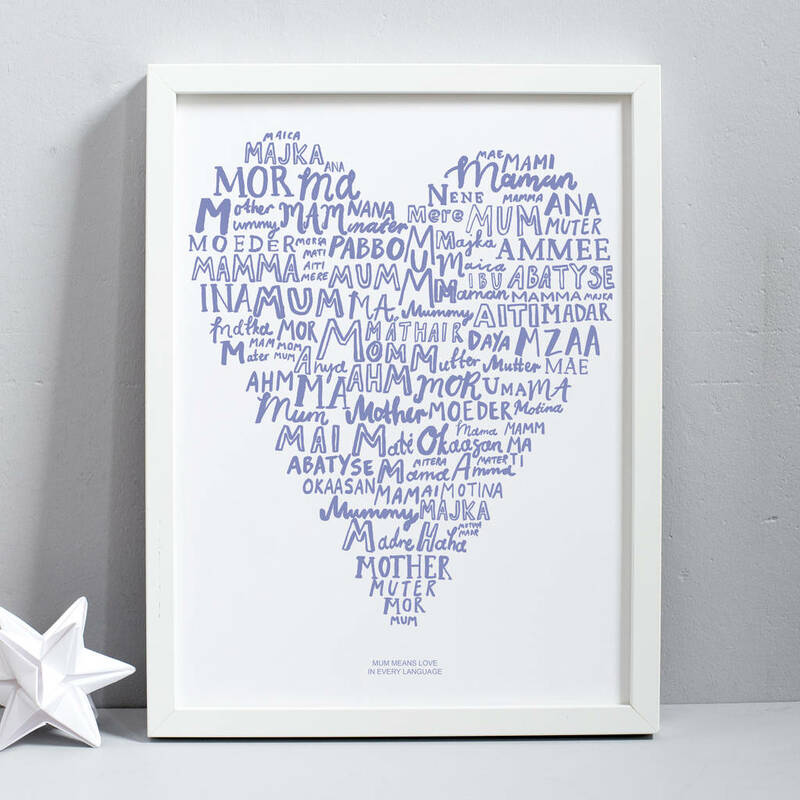 The word mum is hand written in a range of languages creating a shape of a heart. 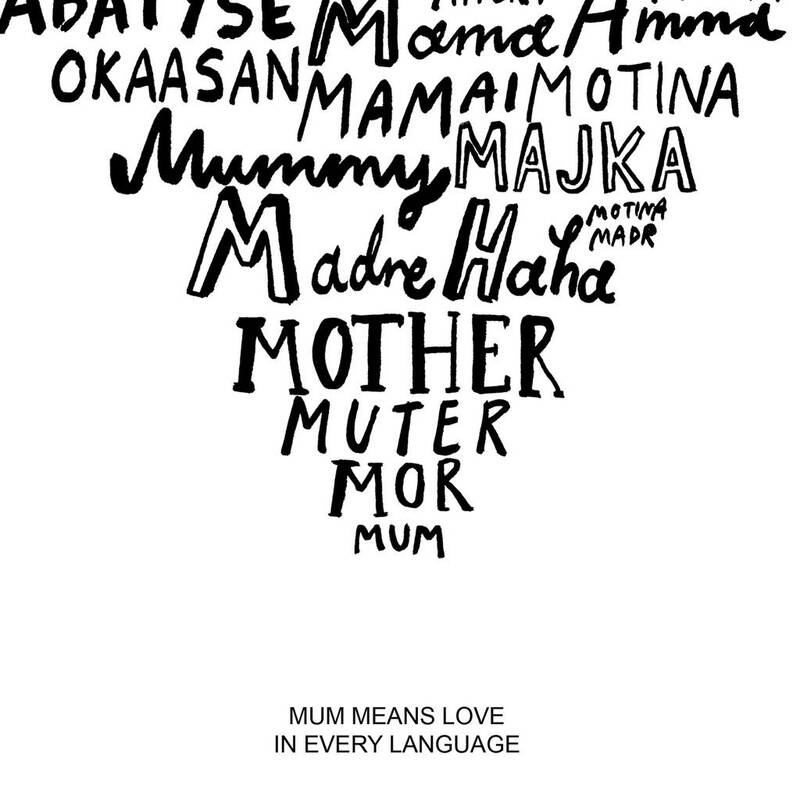 Below the heart the text 'Mum means love in every language' is printed. 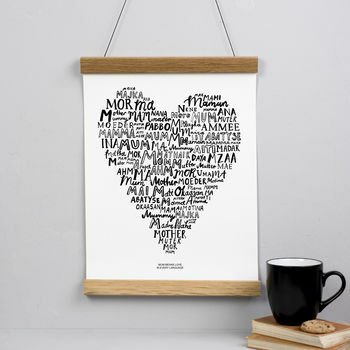 The high quality art print would look amazing hanging in any room and A wonderful gift to make your mum feel extra loved! We offer two different framing options, traditional box frames in white, black or oak wood or our magnetic oak print hanger. 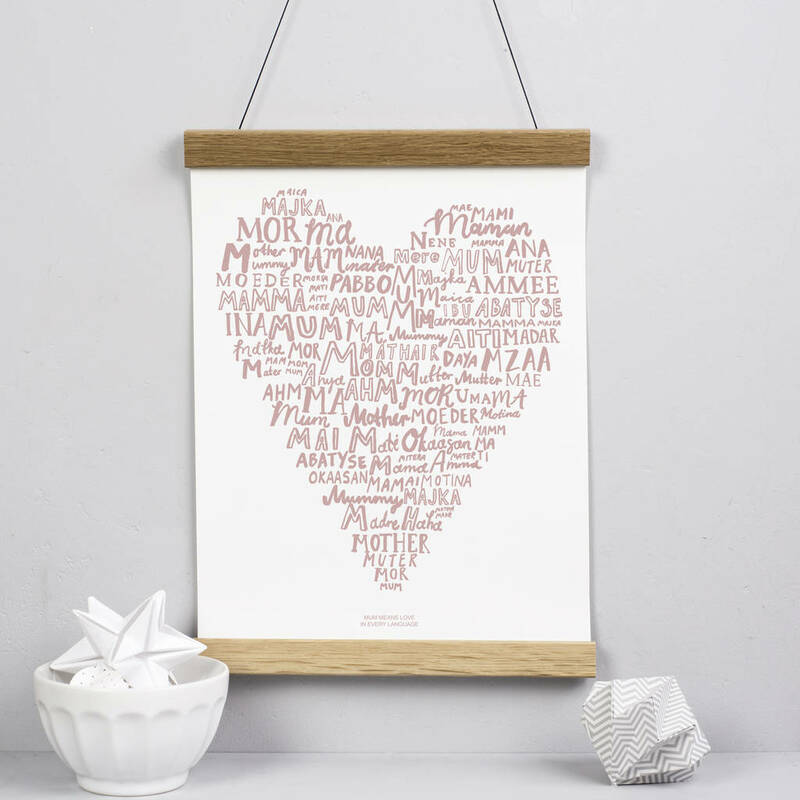 The oak hanger has embedded magnets holding the print in place without damaging the print. printed on heavy matte paper: white cartridge paper 220gsm.